How laws are made in Australia – this is important as it will help you understand why the word ‘proposed’ is used a lot. When will the new laws be passed and come into effect? How long will we have to comply with the new WHS laws? Who is going to enforce the new laws? What you can do now to be ready? Before you read how laws are made in Australia, have you read our previous article New National WHS Laws Explained? Laws are made in one of two ways in Australia, either by the courts which is called case law, or by parliament which is called legislation. The new national WHS laws will be created by legislation via the national parliament in Canberra. Before anything can become law or as it is known an item of legislation, it has to be proposed, this means it has to be suggested as an idea for a new law. When an idea is proposed to parliament it is called a bill. A bill is also used to raise proposed changes to an existing law. Proposals for new legislation, or amendments to existing legislation, can be created by many different groups or bodies including both the governing and opposition parties of government, or through suggested amendments to existing laws received from bodies like the Australian Law Reform Commission. A member of parliament (from any political party) must present the prosposal to either the upper or lower house and explain what the law or amendment entails, why it is being proposed. The other members of parliament are given an opportunity to ask questions relating to the bill before being asked to vote on it and amendments to the original bill can be made. If the bill is passed it is then presented to the other house and voted upon, if the second house requests any amendments before passing it must be sent back to the original house so that the amendments can be approved. Once this process is completed the bill is sent to the Governor General (for National/Commonwealth Law) to give the Queens seal of approval, this process is usually a formality however the Governor General does have powers to refuse approval but they are rarely used. This is the process the new model WHS legislation must go through before it beomes law. If you would like to speak to Australian Fire & First Aid about Fire Training, First Aid Training, Safety Training or Safety Services please give us a call on (08) 8596 4243, we provide training and services Australia Wide. 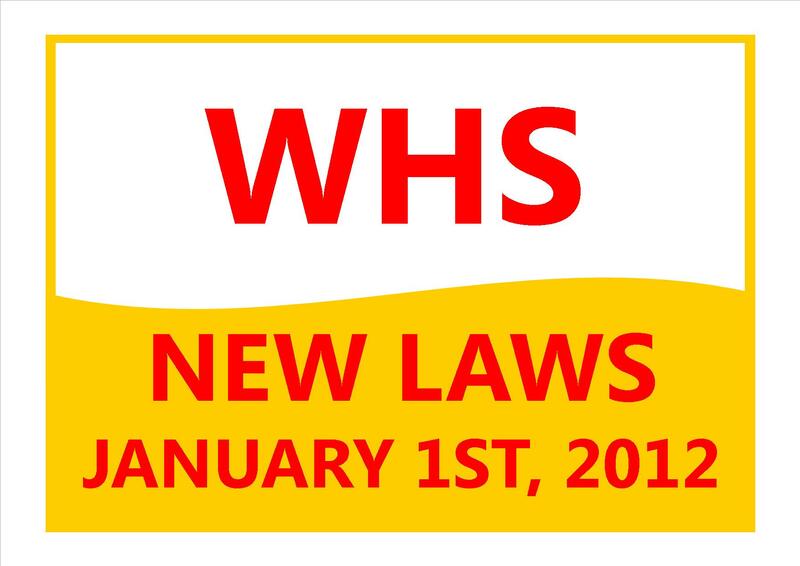 Our next article is entitled WHS – when will the new laws come into effect?